More about me and the purpose of this blog can be found in the very first post. what do you use to generate the latex for your posts? What do you use to generate your graphs? Do you use some other program and bring it in as a JPEG or something? Or can you do it more directly somehow? I am starting a combinatorics blog of my own and am wondering what the best way is. Thanks for your help and for this blog! I was wondering if you might be able to help me. I am trying to find a German polymath who might be happy to be interviewed on the below programme about Goethe and other notable German polymaths of the past. Filming would be at the end of January/beginning of February. Liberty Bell Productions are making a programme about German Culture for the BBC. Primary focus will be on 18th and 19th century arts and culture ranging from Bach to Bauhaus, Beethoven to the Brandenburg Gate, Wagner to Weimar Classicism. I look forward to hearing from you – thanks so much. I am really happy to find such an interesting blog, I found you trough friendfeed here:http://friendfeed.com/spaceweaver/04ab8654/first-evidence-that-quantum-processes, I thought your reflections where really interesting. I am AI researcher mainly, but I am interested in math mainly, for example I tweet things such as:Discuss:”Can you link Gödel’s incompleteness theorems with turing’s Halting problem? do they refer to metaSelfReference blindspot/paradox?”, and in my blog I talk about things such as, http://singyourownlullaby.blogspot.com/2009/02/what-is-mathematics.html (what is mathematics) among other things. Hope we could stay in touch and exchange information eventually. Thanks for the blog and posts. 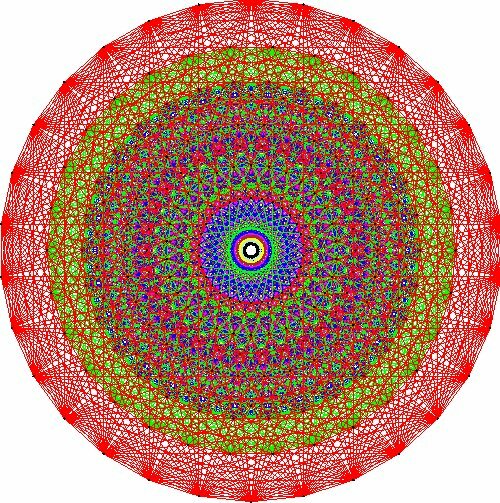 The”Gosset polytope” in this post is amazing! That can be drawn by hand!?! Looks like I should make my mathematics study rapid so that I can also draw such amazing 8-D figures. Dear Sir! I’m an under graduate student of math and physics from India. First time I read or heard or learnt about the word combinatorics at your site today. It is almost a strange topic for me. But as I usually do, I planned to read about you and then to wander across posts of your site. Seems an ocean of knowledge. Let see how much knowledge I can carry…? Something unrelated to any specific post. I just noticed that in your blogroll, ‘Tamya Khovanova Math Blog’ is misspelled. It is Tanya instead of Tamya. I am currently running a crowd funding campaign for my upcoming educational game Sweet Math. I was wondering what is the process to get a story out on your blog. The game let player practice arithmetics with their entire family. Who is the guy sitting beside you in the picture above your blog? He seems to be a mathematician. Right? Sorry for my ignorance if he is a well-known person and my question is off-topic. Hi Ali, This is a picture with Jiri Matousek (See this post). My condolence. I’m sorry to hear that Prof. Matousek is dead. It is always hard to lose a thinking brain, particularly when it happens too soon. I really admire your commemoration of the dead colleagues and acquaintances on your blog. Unfortunately this doesn’t happen so frequently nowadays. Dear Patrice, thanks a lot! I was linked here by a reddit post on a related topic. thank you for your masterful exposition.